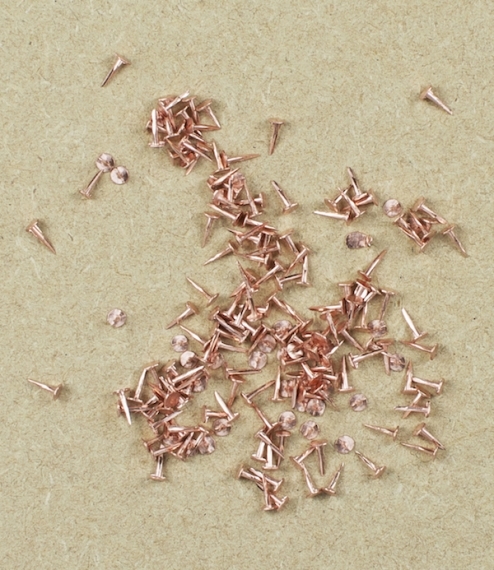 5mm or 8mm copper tacks used in the production of shaker boxes and furniture. Made in Charlotte, Michigan on 19th century equipment. 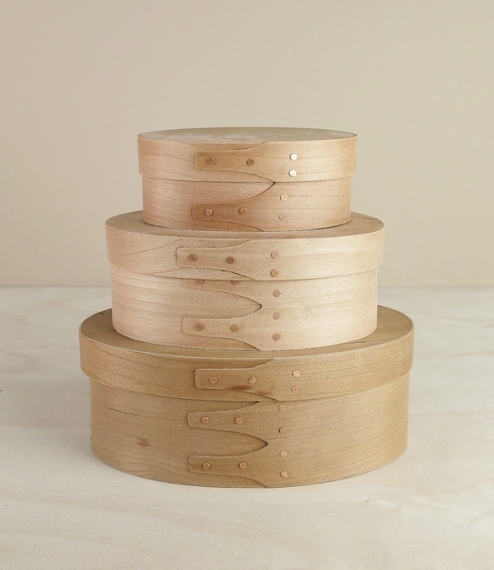 Round headed and with a slightly flattened shank to help prevent splitting along the grain. Traditionally used more like a deliberately visible panel or veneer pin than a tack copper was preferred to steel as it is far less likely to corrode and stain the finished surface. 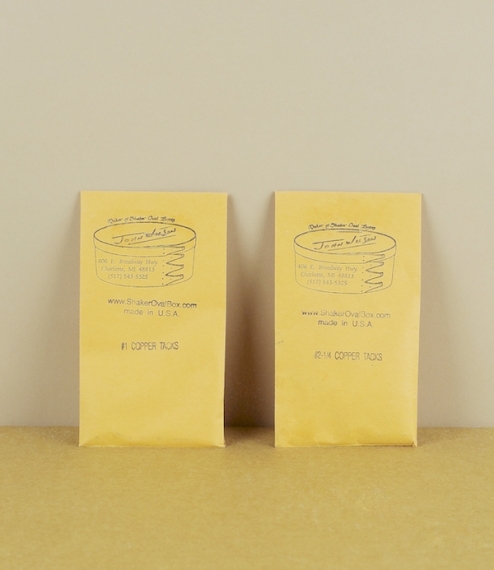 The 5mm tacks have a head diameter of approximately 2.5mm, and are supplied with 400 to a pack, whilst the 8mm tacks have heads of roughly 3.7mm and are supplied as 300.